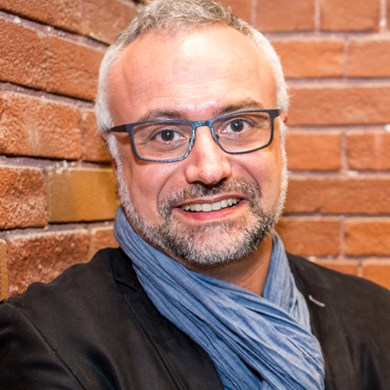 Since he started at Ubisoft in 2004, Yves Jacquier filled many different positions related with the fast growth of the Studio : heading Online Services, then IT. In 2008 he is put in charge to develop the Production Services Studios and make them the best of the industry. He led transformative activities such as Performance capture, biometrics or telemetry. Since his debut as electronics engineer in the health sector, then in particle physics, Yves has developed a solid expertise in technical innovation. He was previously project manager in telecoms and research engineer at the CERN (Conseil Européen de la Recherche Nucléaire) on the ATLAS experiment. Yves is also member of the board and scientific counsellor of CDRIN (Centre de Développement et de Recherche en Imagerie Numérique) and an enthusiastic scientific communicator for Ubisoft. For years, videogames have relied on A.I. developments to advance, while A.I. pioneers used games as a benchmark to compare how their algorithm performed against real humans for human level decisions. Today, disruptive changes in both areas have created new ecosystems where they not only accelerate their own developments but a new paradigm has emerged where videogames and A.I. are on the verge of having real world implications to positively impact peoples lives in many significant ways. Is our world the next open world?